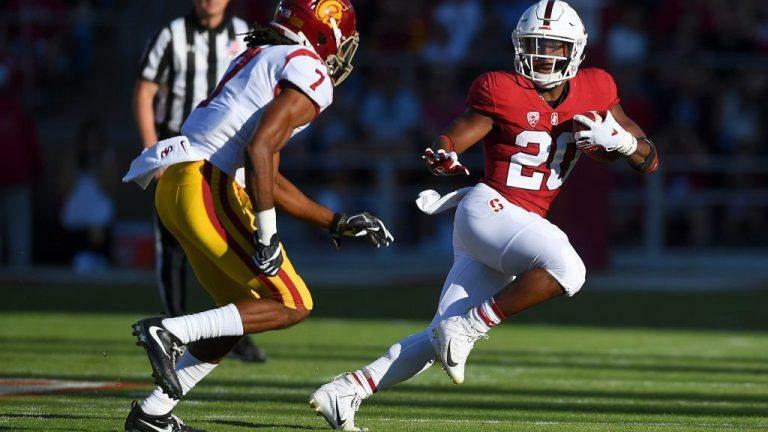 Stanford-Oregon Preview and Prediction: If Bryce Love Plays…. Conference play gets underway across the country this week. In the Pac-12, two of the best teams the conference, Stanford and Oregon, has to offer are going to be tested right out of the gate—against each other. The Cardinal will head north to Eugene, Oregon, for a match-up between two undefeated, ranked teams. Go ahead and smile college football fans. You know you want to. But the game could end up losing some of its luster. The early word on Stanford running back Bryce Love is that he’ll play after missing last week. However, if he doesn’t, the outlook on this one will change quite a bit. It came as somewhat of a surprise late in the week when Stanford announced that Love was going to miss Saturday’ game against UC Davis. Apparently, he had suffered a knee injury the previous week. Since he is supposed to play, it couldn’t have been too bad; more than likely, it was something they didn’t want potentially becoming a big deal in a meaningless game. Should he play as expected, the Ducks will have to approach this game entirely different. Last season, Love gashed them for 147 yards and two touchdowns on seventeen carries. Even if he is slightly hobbled, he could give an Oregon defense ranked tenth against the run absolute fits. On the off-chance the Ducks can contain him, K.J. Costello should be able to loosen things up for Love once he attacks the Ducks 76th ranked pass defense. Costello is not a stellar passer (54-88 for 729 yards seven touchdowns and three interceptions). But he is good enough to take on an Oregon defense with a reputation for giving up big plays. This season, the Ducks look like your big brother’s Ducks. Justin Herbert is expected to be an early first-round selection next year. It’s not hard to see why (46-81 for 840 yards and 12 touchdowns with four interceptions). He’s got some talented, speedy receivers to work with and a system that maximizes his talents. 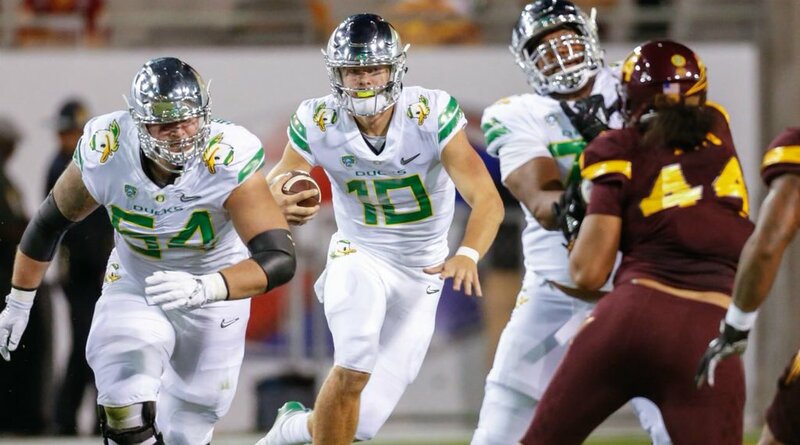 However, as good as Oregon appears to be, one critical detail puts a tarnish on the shine. They’ve only played poor teams so far. Yes, they are the No. 8 scoring offense in the nation (51.7 points/game), but their competition to date is a combined 2-7. They have played nothing but soft opponents but have still allowed 20 points a game. The points they’ve allowed have been split, 30 in the first half and 30 in the second. So, the reserve players can’t be blamed. Stanford is going to be their first real test of the season. Will they be up to the challenge? The key is going to be the availability of Bryce Love. If he plays, Stanford is going to win this one. The first half will be close. But after Love beats on them for two quarters, the holes will start to open wide in the second. By the time the fourth quarter rolls around, Stanford will have a double-digit lead. But if Love doesn’t play, this could be a very close, very competitive game. With him, they pound the ball down the field and don’t give Herbert time to work his magic. Without him, Herbert will have time, and he’ll work enough to keep Oregon in the game. The prediction: Love plays, but the game is a lot closer than people think it will be. Stanford is a one-point favorite in the game but will win by six.